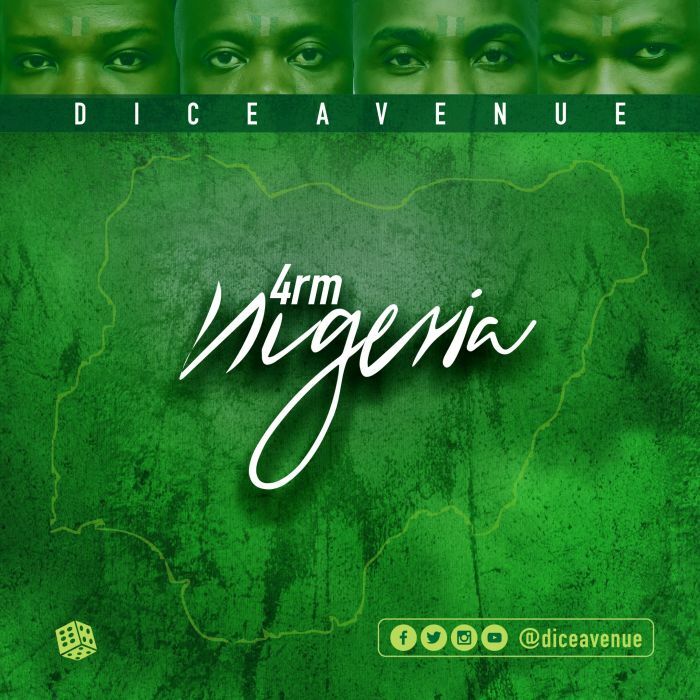 Download Music Mp3 titled ''4rm Nigeria" by Dice Avenue, Click the link below to download and listen to 4rm Nigeria. Dice Avenue is a great addition to the incredibly talent ridden Nigerian music industry and have vocal tricks to unleash that the industry may have needed for a very long time. In 2015, Dice Avenue released a hit single “One Life” which was well received and they released Afro Christmas in 2017. In 2018, Dice Avenue dropped a cover of “Like” by Reekado Banks Ft. Tiwa Savage & Fiokee, thereafter, they followed up with another cover, this time serenading DA lovers with Davido’s hit single “Assurance”. They then released a smooth and lovely Afro Pop styled hit single titled “Biye Biye” (produced by Xuzi). So enchanted by the love and affection for our country Nigeria, Dice Avenue comes with this Afro-Classic hit titled “4rm Nigeria” highlighting the warmth, care and hospitality in the greetings of our various tribes.